Home › Blog Topics › Why Did the School Librarian Cross the Road? Why did the school librarian cross the road? To align library standards to other disciplines, of course! Karen Gross, in a blog post for the U.S. Department of Education, describes crosswalk in the context of education as “converting skills or content from one discipline to another.” However, I like Merriam-Webster’s definition for “crosswalk” best: “a specially paved or marked path for pedestrians crossing a street or road.” As school librarians, we help students and educators every day by paving a way for them to achieve, assisting them by breaking down barriers and helping them maneuver through obstacles on the road to learning. 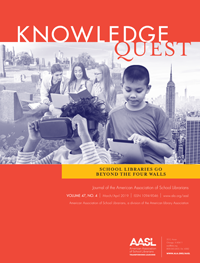 Aligning school library standards to standards for other disciplines is critical to success in the school library profession. 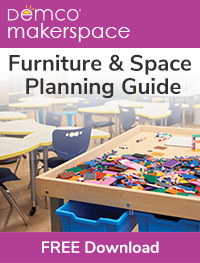 Knowing and understanding content standards for multiple subject areas is part of what makes the role of the certified school librarian essential to a school’s curriculum. Also knowing how those various content area standards mesh with school library standards establishes the foundation for collaboration between school librarians and classroom teachers and strengthens learning for students through interdisciplinary experiences. The task force recognized early on that crosswalking sets of standards is not always easy or makes for a clean fit as variances in language used and intent are not always clear to the reader. Standards sets also vary in their level of specificity with some statements being more general or specific in nature. 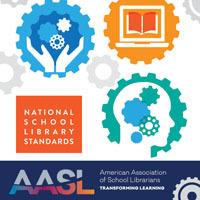 For instance, the Future Ready Librarians Framework consists of very general statements aligning to actions of school librarians and how they impact student learning, where the AASL National School Library Standards provide more specific statements on what those actions should be. AASL will review other possible standards sets for crosswalks moving forward, and there are plans to provide professional learning resources to assist practitioners in developing their own local crosswalks to supplement the national crosswalks created by the association. Jay Bansbach (Retired – Maryland State Department of Education) is leading the AASL Standards Crosswalk Task Force as they research and develop the crosswalks for a summer 2018 release and a searchable database to be released at a later date (to be announced). Why did the school librarian cross the road? To get to a roadmap for better outcomes for all learners! ‹ Why Do You Need a Collection Development Plan?